A diplomat is a person appointed by a state to conduct diplomacy with one or more other states or international organizations. The main functions of diplomats are: representation and protection of the interests and nationals of the sending state; initiation and facilitation of strategic agreements; treaties and conventions; promotion of information; trade and commerce; technology; and friendly relations. Seasoned diplomats of international repute are used in international organizations (for example, the United Nations, the world's largest international diplomatic organization) as well as multinational companies for their experience in management and negotiating skills. Diplomats are members of foreign services and diplomatic corps of various nations of the world. Diplomats are the oldest form of any of the foreign policy institutions of the state, predating by centuries foreign ministers and ministerial offices. They usually have diplomatic immunity. The regular use of permanent diplomatic representation began between the states of fifteenth century Italy. 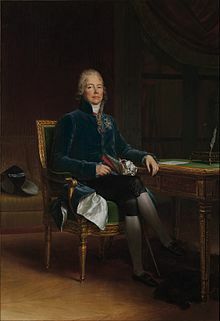 However the terms ‘diplomacy’ and ‘diplomat’ appeared in the French Revolution. Diplomat is derived from the Greek διπλωμάτης (diplōmátēs), the holder of a diploma, referring to diplomats' documents of accreditation from their sovereign. Diplomats themselves and historians often refer to the foreign ministry by its address: the Ballhausplatz (Vienna), the Quai d’Orsay (Paris), the Wilhelmstraße (Berlin); and Foggy Bottom (Washington). For imperial Russia to 1917 it was the Choristers’ Bridge (St Petersburg). The Italian ministry was called "the Consulta." Though any person can be appointed by the state's national government to conduct said state's relations with other states or international organisations, a number of states maintain an institutionalised group of career diplomats—that is, public servants with a steady professional connection to the country's foreign ministry. The term career diplomat is used worldwide in opposition to political appointees (that is, people from any other professional backgrounds who may equally be designated by an official government to act as diplomats abroad). While officially posted to an embassy or delegation in a foreign country or accredited to an international organisation, both career diplomats and political appointees enjoy the same diplomatic immunities. Ceremonial heads of state commonly act as diplomats on behalf of their nation, usually following instructions from their head of Government. Whether being a career diplomat or a political appointee, every diplomat, while posted abroad, will be classified in one of the ranks of diplomats (secretary, counselor, minister, ambassador, envoy, or chargé d'affaires) as regulated by international law (namely, by the Vienna Convention on Diplomatic Relations of 1961). Diplomats can be contrasted with consuls and attachés, who represent their state in a number of administrative ways, but who don't have the diplomat's political functions. Diplomats in posts collect and report information that could affect national interests, often with advice about how the home-country government should respond. Then, once any policy response has been decided in the home country's capital, posts bear major responsibility for implementing it. Diplomats have the job of conveying, in the most persuasive way possible, the views of the home government to the governments to which they are accredited and, in doing so, of trying to convince those governments to act in ways that suit home-country interests. In this way, diplomats are part of the beginning and the end of each loop in the continuous process through which foreign policy develops. In general, it has become harder for diplomats to act autonomously. Diplomats have to seize secure communication systems, emails, and mobile telephones can be tracked down and instruct the most reclusive head of mission. The same technology in reverse gives diplomats the capacity for more immediate input about the policy-making processes in the home capital. Secure email has transformed the contact between diplomats and the ministry. It is less likely to leak, and enables more personal contact than the formal cablegram, with its wide distribution and impersonal style. The home country will usually send instructions to a diplomatic post on what foreign policy goals to pursue, but decisions on tactics – who needs to be influenced, what will best persuade them, who are potential allies and adversaries, and how it can be done - are for the diplomats overseas to make. In this operation, the intelligence, integrity, cultural understanding, and energy of individual diplomats become critical. If competent, they will have developed relationships grounded in trust and mutual understanding with influential members of the country in which they are accredited. They will have worked hard to understand the motives, thought patterns and culture of the other side. The diplomat should be an excellent negotiator but, above all, a catalyst for peace and understanding between peoples. The diplomat's principal role is to foster peaceful relations between states. This role takes on heightened importance if war breaks out. Negotiation must necessarily continue – but within significantly altered contexts. Most career diplomats have university degrees in international relations, political science, economics, or law. Diplomats have generally been considered members of an exclusive and prestigious profession. The public image of diplomats has been described as "a caricature of pinstriped men gliding their way around a never-ending global cocktail party". J. W. Burton has noted that "despite the absence of any specific professional training, diplomacy has a high professional status, due perhaps to a degree of secrecy and mystery that its practitioners self-consciously promote." The state supports the high status, privileges, and self-esteem of its diplomats in order to support its own international status and position. The high regard for diplomats is also due to most countries' conspicuous selection of diplomats, with regard to their professionalism and ability to behave according to a certain etiquette, in order to effectively promote their interests. Also, international law grants diplomats extensive privileges and immunities, which further distinguishes the diplomat from the status of an ordinary citizen. While posted overseas, there is a danger that diplomats may become disconnected from their own country and culture. Sir Harold Nicolson acknowledged that diplomats can become "denationalised, internationalised and therefore dehydrated, an elegant empty husk". Diplomats have started celebrating International Day of Diplomats on October 24 since 2017. 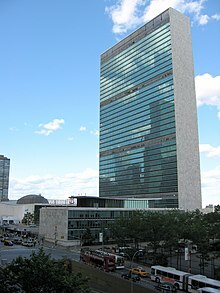 The idea of celebrating International Day of Diplomats on the day the United Nations was founded was proposed by Indian diplomat Abhay K to mark the occasion as diplomacy becoming the principal means of resolving disputes. ^ a b "Career diplomat Aurescu becomes Romanian new FM". xinhuanet.com. Archived from the original on 22 August 2016. Retrieved 18 November 2015. ^ Siddons, Andrew (1 August 2014). "John F. Tefft, a Career Diplomat, Will Go to Russia". The New York Times. ^ "Carlos dos santos The Career Diplomat That Nurtured Foreign Affairs in Mozambique". International Magazine Kreol. Retrieved 18 November 2015. ^ "Asia-Pacific - Princess trapped by palace guard". BBC News. Retrieved 18 November 2015. ^ "Lady Ashton takes flak in EU diplomatic battle". BBC News. Retrieved 18 November 2015. ^ "Career Diplomats Worried About Influx of Political Appointees at State Department". ABC News. Retrieved 18 November 2015. ^ "Are Political Appointees the Only U.S. Diplomats Who Haven't Been to the Country to Which They Are Assigned?". The Huffington Post. Retrieved 18 November 2015. ^ Stuart Seldowitz, "The Psychology of Diplomatic Conflict Resolution", in H. J. Langholtz and C. E.Stout, Eds. The Psychology of Diplomacy (Westport: Praeger, 2004), pp. 47–58. ^ Allan Gyngell and Michael Wesley, Making Australian Foreign Policy (Cambridge: Cambridge University Press, 2003), pp. 106. ^ J. W. Burton, Systems, States, Diplomacy and Rules (Cambridge: Cambridge University Press, 1968), p. 206. ^ Harold Nicolson, The Evolution of Diplomacy (New York: Collier, 1962) at 107.